Ahhhhh relaxation! Join us for a Spa Day with our workshop leader, Donna! We believe that we have been called to serve those who may be hurting, are broken or simply are in need of love and friendship. 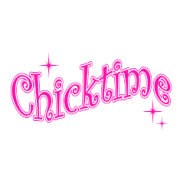 Chicktime offers a fun and easy, no guilt format. We are a loving group of women committed to bringing that love to the hurting and the broken. Join us for Chicktime at the Masonic Home for an evening full of love, laughter, and smiles! Questions? Contact Renee at 478-718-1306 or macon@chicktime.com today!